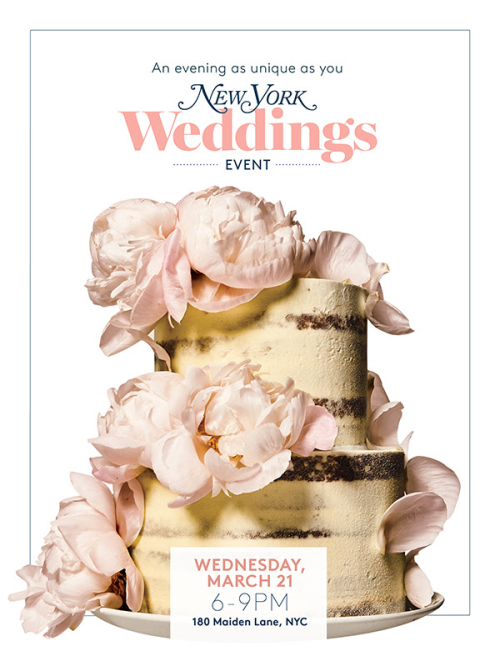 : 2018 New York Magazine Weddings Event @ 180 Maiden Lane. 6:00 pm- 9:00 pm. You’re Invited: Cocktails, Cake, Live Music and More.